With an AMAGNO digital invoice workflow, you can make significant savings by using electronic invoice processing. Compared to manual paper invoice processing, you can save up to €11 euros on every single invoice your company processes. At the end of the invoice workflow, AMAGNO simply transfers the digital invoice over to your bookkeeping software (such as DATEV, Sage & Co., etc.) and then automatically archives it in your document management system. Tip: You can also make the most of AMAGNO to digitally map many other business processes, in the same way as with an invoice workflow. Invoice workflow with DATEV, Sage, Navision, etc. A digital invoice workflow doesn’t just reproduce the way you manually process incoming invoices, it offers you a more holistic solution. 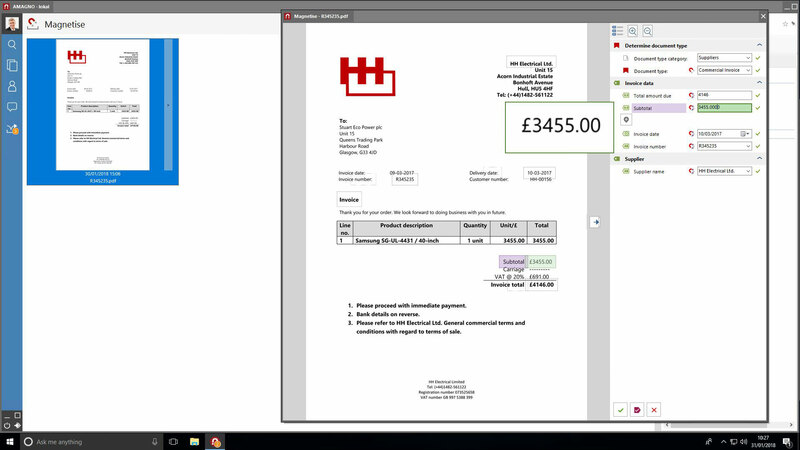 From the very beginning, with invoice entry (by email, digitisation of paper invoices) going on to the classification of invoice details, checking and approval via digital stamps, right up to handing over of accounting details via the interface with bookkeeping systems such as DATEV or Sage. AMAGNO offers a wide range of import and export options via XML, TXT or CSV files to/from external applications. Based on our modern REST/JSON interface, a wide variety of different interfaces can be created. Whether in the office or on the road, you can operate your digital invoice processing anytime and anywhere thanks to AMAGNO’s invoice workflow. 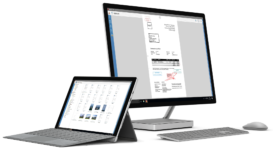 Gone are the days of physically distributing paper invoices to other departments or posting them to other locations: with AMAGNO everything is taken care of digitally. You can also map out your invoice workflow in parallel so that different colleagues can check and verify them at the same time, all without having to make duplicates of the invoice and then merging them later. 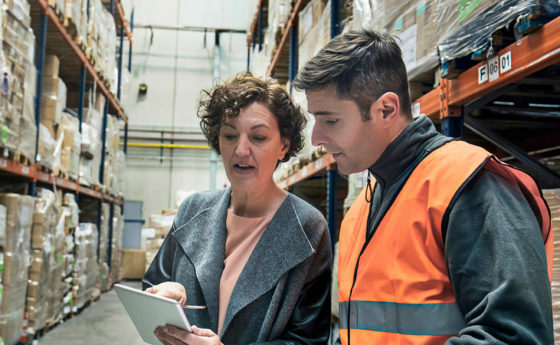 While on the move, the employee responsible for a particular stage in the workflow process can use a tablet or smartphone to set digital stamps for checking or approval. All data is encrypted and transmitted in real time. Enterprise Content Solutions work! But don’t take our word for it: Download and Try AMAGNO for free. Then all you need to decide is whether you want AMAGNO as an In-House software solution (On-Premise) or if you prefer our AMAGNO Business Cloud. An electronic invoice is a digital document that meets all the requirements of an invoice. Since 2011, there has been no distinction between paper and electronic invoices, and all information on a paper invoice must also be available on an electronic invoice. Following the implementation of the EU Directive 2010/45/EU in Germany, electronic invoices are now treated as equivalent to paper invoices. This enables companies to implement electronic invoice processing much faster and more efficiently. It does not matter whether an electronic invoice is sent by e-mail or made available via download, just as long as its integrity is secure. The new ZUGFeRD format (recommended by the Federal Ministry of Economics and Energy) is particularly interesting as it contains the invoice data suitable for systems such as AMAGNO digital and is also readable in PDF format. The legal obligation to keep invoices for ten years also applies to electronic invoices. It is important to mention that electronic invoices must be stored digitally. Digital invoices cannot be printed out and archived in paper form. Furthermore, if you receive an invoice by email, then you have to also archive the email together with the actual invoice. One big advantage? A paper invoice sent to the company by post can be scanned and archived electronically. 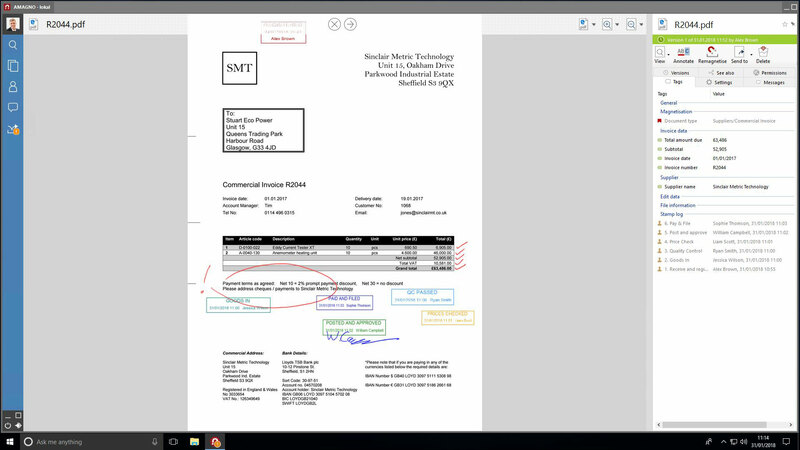 You can then dispose the original paper invoice, provided that the format is permanently legible (e.g. TIFF or PDF/A). Sending and receiving electronic invoices by email is certainly one of the most convenient options available. Generally speaking, the recipient of the invoice should in principle agree to it being sent via email. Consent may be given tacitly, i.e. the recipient does not object to all other aspects of correspondence by email: this is usually regarded as consent. Of course, for the sake of courtesy, it is advisable to inform before sending in order to avoid any misunderstandings. Its safe to say that some companies will carry on receiving some paper invoices by post for the foreseeable future. 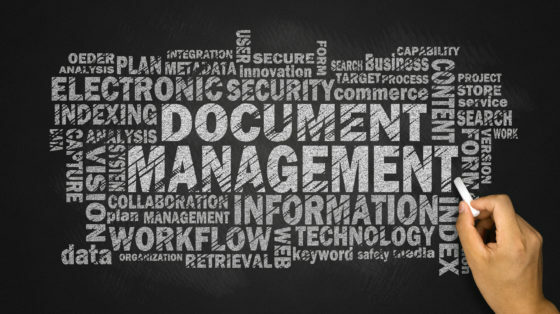 In order to avoid compatibility problems or duplicating processes unnecessarily, these paper invoices should be digitised immediately upon receipt. This can be done at the reception desk or in the secretary’s office with a simple document scanner. These scanners can also digitise all incoming post and import it into a document management system to be processed automatically. One alternative is to redirect all of the company post to a scanning service provider like Dropscan so it can be digitised. This way you can save yourself the trouble of opening, scanning and then disposing of the physical post.